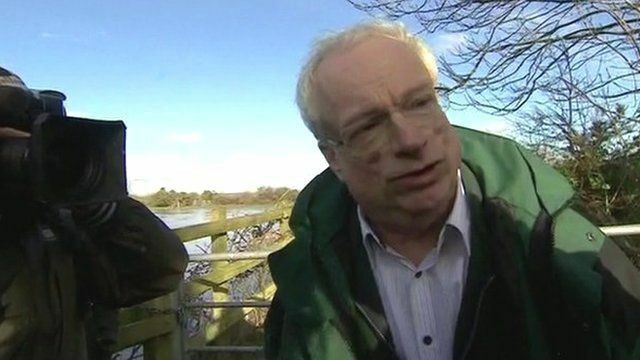 Environment Agency 'bound by Treasury' Jump to media player Lord Smith discusses the stand-in floods minister Eric Pickles' recent criticism of the Environment Agency. 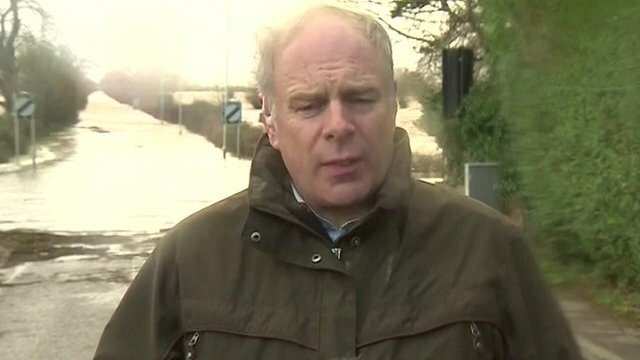 'We've been failed at every level' Jump to media player Ian Liddell-Grainger, the Conservative MP for Bridgwater, has reiterated his criticism of the handling of the flooding crisis in Somerset, saying the government has let people down. 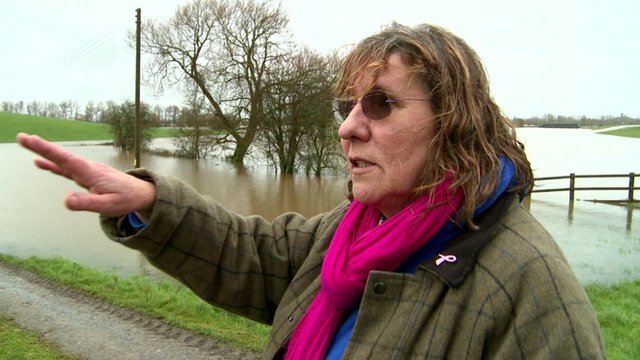 Flooding 'awful, awful, awful’ Jump to media player Newsnight investigates what it is like for the communities suffering from the flooding along the river from flood-hit Somerset. 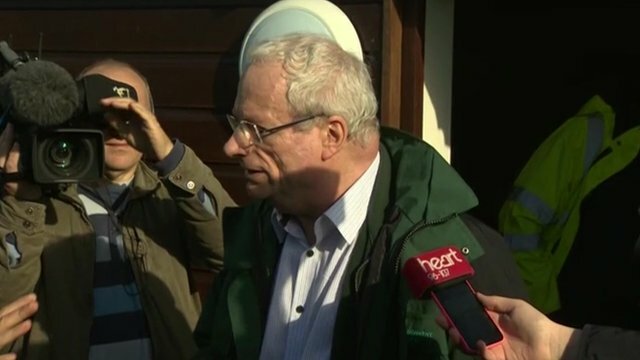 Further severe weather across UK Jump to media player As the Environment Agency's Lord Smith and PM David Cameron visited Somerset to see the flood damage, parts of the UK are braced for more heavy rain. Farmer confronts wave-making lorry Jump to media player As anger and frustration in Somerset rise, farmer Julian Green explains why trying to keep businesses going can make things worse. 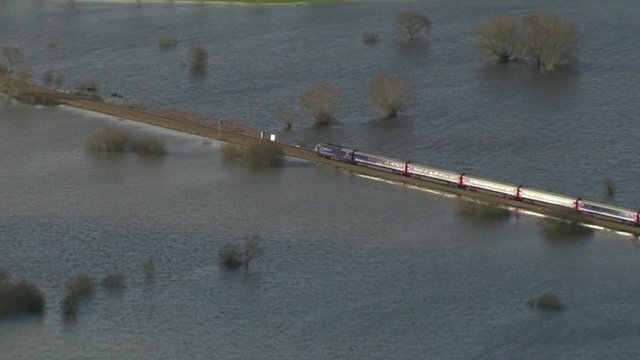 Train attempts to cross flooded fields Jump to media player Aerial pictures from Somerset show a train making its way along tracks surrounded by floodwater. 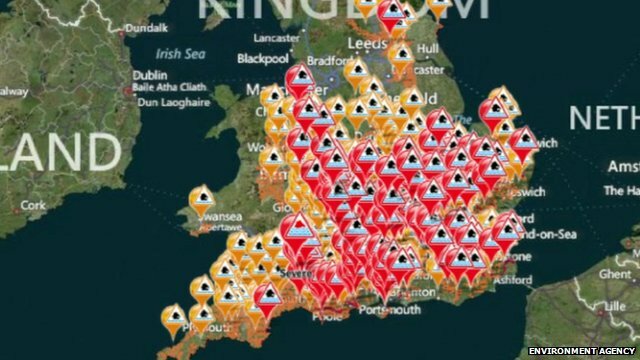 Environment Agency chair Lord Smith has told BBC Radio 4's Today programme that his staff know "100 times more about flood risk management than any politician ever does". 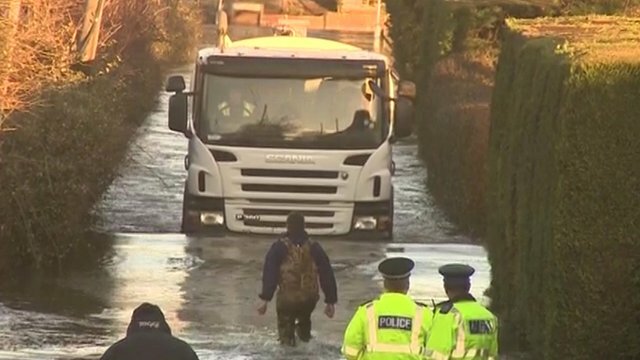 He made his comments after Eric Pickles, the stand-in floods minister, said the agency had given bad advice over flooding and tried to divide town and country over flood funding. Lord Smith added that he was "bound by the rules that are laid down by the government [and the Treasury]" over spending on each individual flood defence scheme. First broadcast on BBC Radio 4's Today programme on Monday 10 February.